I get it all the time! If I’m gonna be honest (which I am) I’d have to say it’s really easier than even I thought it would be. To me, “expensive” is a matter of personal priority….like personally, I think Miss Jessie’s hair products are on the costly side..(you can find my experience with her Deep Treatment here. 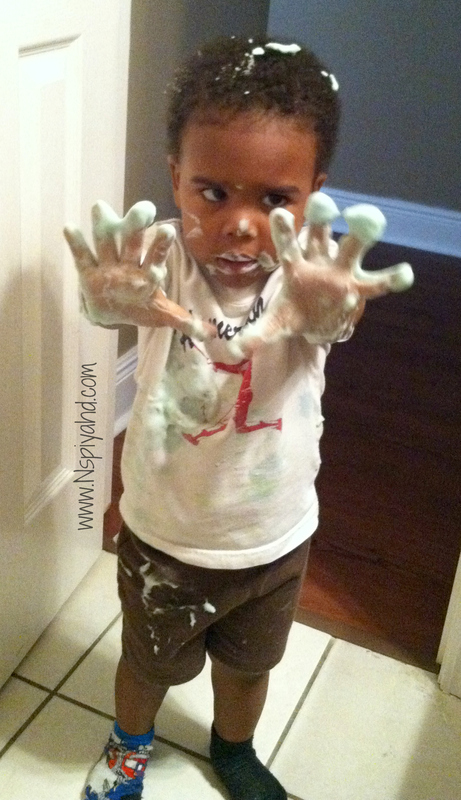 )..while a homeschool room full of awesome manipulatives is not….It’s just personal. BUT, in the grand scheme of things, who doesn’t like to save money? And Mrs. Discount Diva here WILL find a way to save. 2 years ago, just getting started! 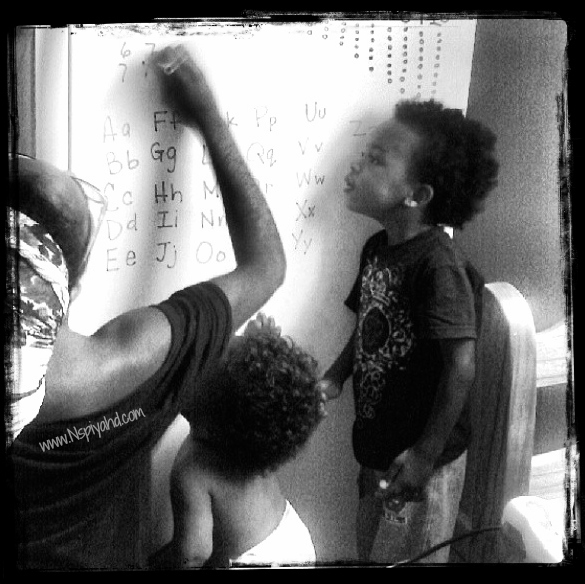 Homeschooling our littles was just one of those things I wasn’t willing to sacrifice. When you make those kinds of monumental, life changing (total exaggeration) decisions, you see that it’s not that hard to find materials on the cheap. 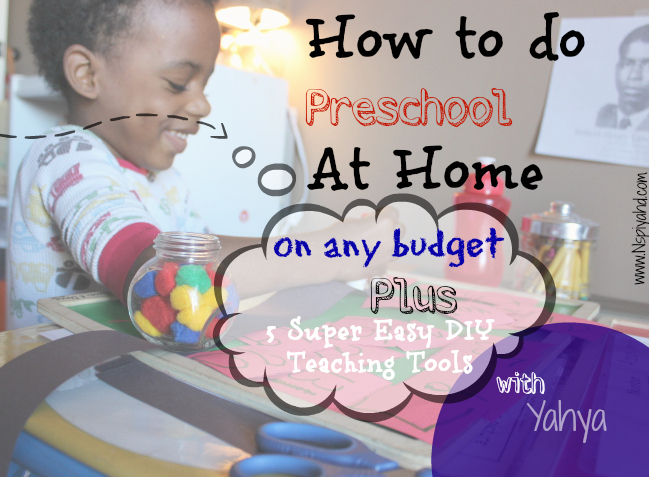 Let me tell you, for preschoolers- Dollar Tree and Thrift stores are your best friend! Target’s “Dollar Spot” is a great resource too! Why? Because kids tear ish UP! That’s why! If I had spent a million bucks on all this stuff I would have shipped my sons to boarding school by now because , for them, “destructive” just aint the word! Does he not look like he just got finished DESTROYING something?! When we started homeschooling I decided to swing more toward the Montessori method of teaching, with an “Unschooling” spin. It seems to be working so far and the boys enjoy it. It’s gets easier with homeschooling when you realize that education is an all day, everyday event and children will learn from EVERYTHING so there’s really no need to go overboard with it. To save on costs – and keep my crafty juices flowing- I’ve become sort of a Pinterest diva. Because remaking destroyed tools would end up costing just as much as getting the real things, I’m only including projects that can stand the test of time ….and toddlers. Because I have two preschoolers, these are not limited to one age. They can be used for very littles to “big kids”. Here are just a few of my homemade tools that have lasted through at least two years of schooling with two very active boys. 2. 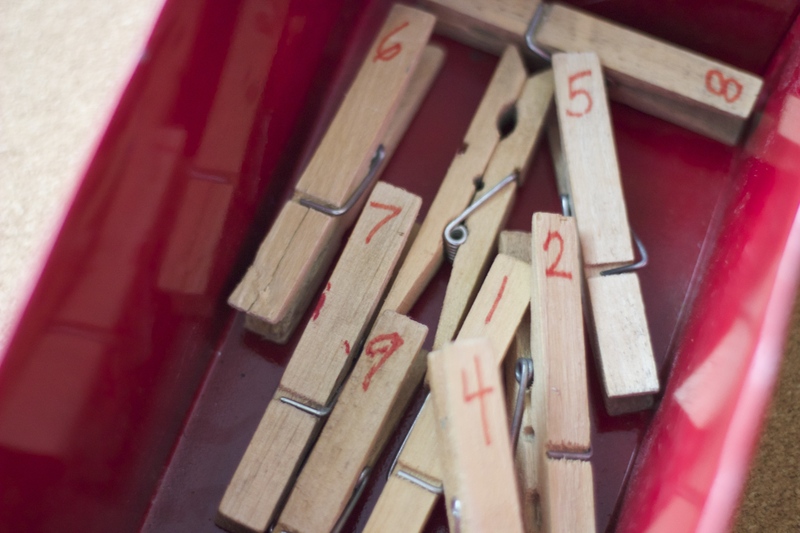 Numbered Clothespins- As easy as it looks mama! Just write numbers- as many as you like- on plain clothes pins. You can find a pack of about 30-50 at DT for $1. They’re useful for sorting, number recognition, and all sorts of math games. You can even do letters- uppercase/lowercase, shapes, and more. So clearly my sense of proportion is way off….but you get the picture. 3. 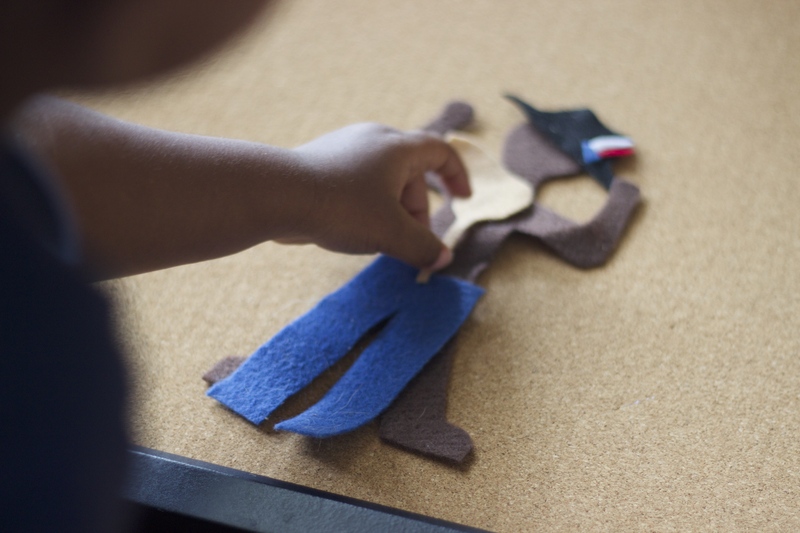 Felt People/Felt Board Activities- Ok, my boys LOVE these! I know your little ones will too! Don’t be like me though, OVERestimate the size people you’ll need because cutting small little lungs and stomachs is a headache. So, these are used for a TON of things. When they were really little I used them to teach the order of putting on clothes (hence the hat and pants). As they get older we use them to teach organ systems, digestion, home life skills (there’s a “mom” figure too), and gender roles. They love making them into “mommy” and “daddy” and even grandma and grandpa. 4. PlayDough Sensory Mats – You can find plenty of free printables online for these sorts of activities. And while I didn’t create the picture, I printed it, laminated it and kept it alive for the last two years. So technically it’s a DIY! 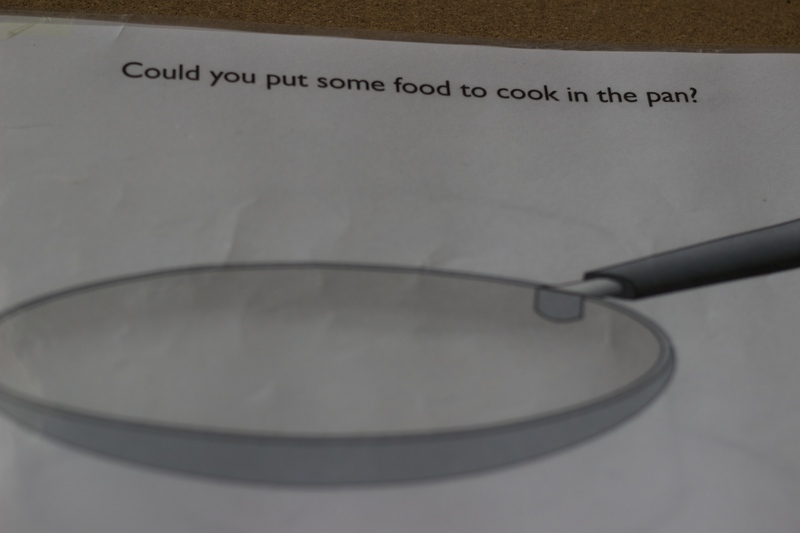 Im sure you can create any kind of play dough mat you like (but Im not tech savvy in the least). For those who are like me, here’s a link to some free ones (Mother’s Niche is a great site btw) and you can just do what I did. 5. 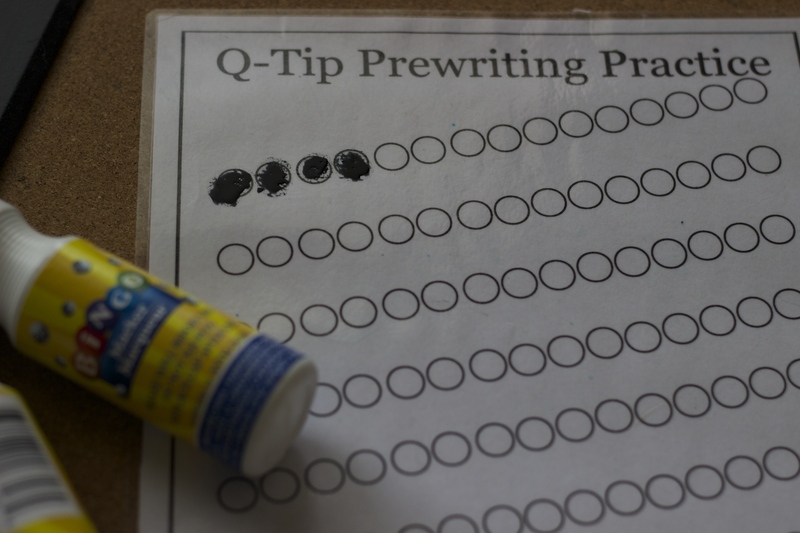 Prewriting Practice Mats- Here’s anotherr one that I didn’t really make but I did laminate and it’s holding up like a champ. You can actually do several of these at different levels as your little ones progress. I’ve found that while the bingo markers are a fun and easy way to keep the kiddies interested in these, they make a big mess on the laminated paper soooo….if you’re not into cleaning up a mess, use dry erase 🙂 These are perfectly age appropriate for my 2 year old and even for 3 year olds. 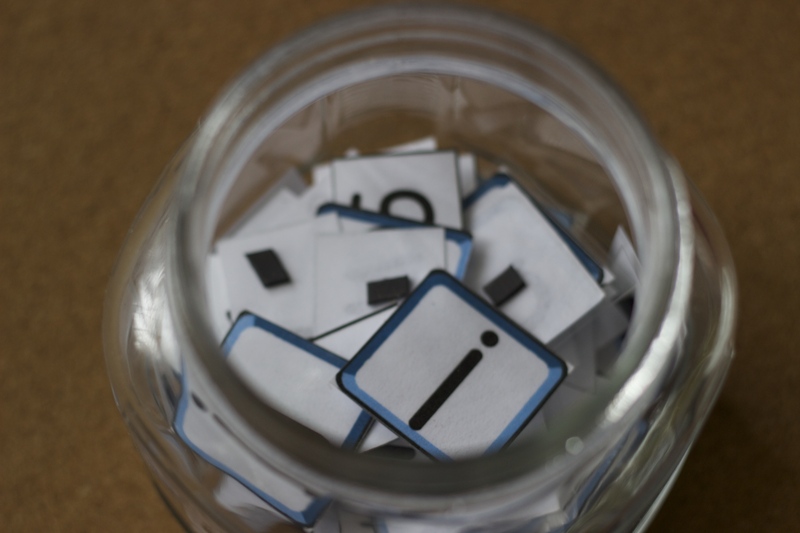 You can also find printables with words to trace once they get the writing part down pat. I hope these DIYs find their way into your homeschooling strategy and make your life a little easier! If you try them out, let us know! We love hearing from you!